Expansion of adipose tissue mass, predominantly in the visceral depot, strongly associates with the development of metabolic complications that are often observed in obesity. In addition, in obesity, an increased prevalence of nonalcoholic fatty liver disease and reduced cardiorespiratory fitness are observed. However, not all obese individuals develop metabolic abnormalities. To better understand the molecular mechanisms that predispose obese humans to the development of metabolic diseases, comparing the metabolically healthy obese (MHO) vs an unhealthy obese phenotype (MUO) may be of great value. A new study by Esser et al (DOI: 10.1007/s00125-013-3023-9) now provides important evidence that the MHO phenotype is associated with a lower activation of the NOD-like receptor family pyrin domain containing-3 (NLPR3) inflammasome in macrophages of visceral adipose tissue and a more favourable inflammatory profile as compared with the MUO phenotype. This finding could promote novel studies in humans to decipher stimuli and mechanisms leading to increased inflammasome activity, not only in adipose tissue, but also in other organs that are involved in the regulation of metabolism. Twenty years ago Gökhan Hotamisligil and colleagues showed that the mRNA and protein levels of the cytokine TNF-α were increased in the epididymal fat pads of four rodent models of obesity and diabetes, and that neutralisation of TNF-α improved insulin sensitivity in obesity . This finding intensified research efforts, leading to the current assumption that low-grade adipose tissue inflammation is a major factor in the pathogenesis of metabolic diseases. In particular, the findings of increased macrophage infiltration in the expanded visceral adipose tissue (VAT) and the more pro-inflammatory phenotype (increased M1 vs M2 type macrophages in rodents) of these adipose tissue macrophages in obese mice and man [2, 3, 4, 5, 6] helped to better understand the natural history of insulin resistance in obesity. In addition to macrophages, other immune cell types have been identified that play an important role in the development of adipose tissue inflammation. Ongoing research has shed light on the complex interaction between various immune cells that ultimately determine the inflammatory trait of the adipose tissue. Particularly, T helper cells are of interest because T helper type 1 cells were found to stimulate pro-inflammatory cytokine secretion from newly recruited adipose tissue macrophages . Moreover, regulatory T cells (Tregs) moved in the focus of the research on adipose tissue inflammation. In 2012 Cipolletta et al showed that VAT-resident Tregs expressing the transcription factor forkhead box P3 (FOXP3), which is thought to interact with peroxisome proliferator-activated receptor-γ, suppress adipose tissue inflammation, possibly by reduced pro-inflammatory macrophage and monocyte infiltration in VAT . Thus, Tregs may play a very significant, yet underestimated, role in providing protection against obesity-induced adipose tissue inflammation. Another layer of complexity was recently added by the observation that adipose tissue-resident B cells have the ability to modulate the inflammatory status of T cells and thus determine obesity-induced inflammation . Although an ensemble of immune cells determines the inflammatory properties of adipose tissue, the question is, what molecular pathways underlie these processes in adipose tissue in obesity? The inflammasome, part of the innate immune system, is known to be activated by bacterial infections, tissue damage and certain metabolic signals [9, 10, 11]. It consists of intracellular sensor molecules, of which the NOD-like receptor family pyrin domain containing-3 (NLRP3) is the most extensively studied. In adipose tissue, NLPR3 is predominantly expressed in non-adipose cells. Activated NLRP3 forms a multiprotein complex with apoptosis-associated speck-like protein containing a CARD (ASC), which subsequently switches on caspase-1. Caspase-1 activation results in the proteolytic cleavage of multiple proteins, including pro-IL-1β (Il-1β) and pro-IL-18, members of the IL-1 family of cytokines, into their biologically active forms [9, 10, 11]. IL-1β in particular has been shown to play an important role in the pathogenesis of insulin resistance and type 2 diabetes [6, 10]. Most mechanistic studies on adipose tissue inflammation are animal studies, and very little information is available about these inflammatory pathways in human adipose tissue. It is particularly important to compare data from animals and humans because the usefulness of mouse models as tools to study inflammation in humans has recently been challenged . 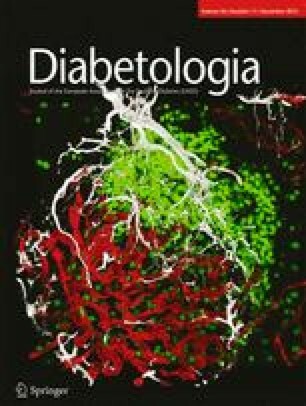 In this issue of Diabetologia , Esser et al provide convincing evidence that NLPR3 inflammasome activity is increased in the VAT of obese humans who have more than two of five characteristics of the metabolic syndrome (metabolically unhealthy obese [MUO]) as compared with obese individuals who display fewer characteristics of the metabolic syndrome (metabolically healthy obese [MHO]) (Fig. 1). In addition to increased macrophage infiltration, a more pro-inflammatory pattern in these macrophages accompanied by an enhanced release of IL-1β was documented. Importantly, the authors also detected a decrease in the number of Tregs in the VAT of the MUO participants. Comparison of these two obese groups is of great importance as it may help to better identify the mechanisms that are involved in the progression of, and protection against, insulin resistance and low-grade inflammation specifically in obese individuals. Importantly, these results support the notion that the major mechanisms identified as being involved in the genesis of adipose tissue inflammation in rodents to date are most probably also relevant for humans. However, the authors do not address a key issue: what are the danger signals that trigger inflammasome activation and why are these signals ineffective in MHO individuals? Several candidates have been proposed, including high glucose and high uric acid levels. In addition, saturated fatty acids, including palmitic acid, are considered to be important inflammasome activators in obese subjects . Saturated fatty acids induce low-grade inflammation and insulin resistance in animals only in the presence of the glycoprotein fetuin-A . This liver secretory glycoprotein serves as an adaptor protein for saturated fatty acid-dependent activation of Toll-like receptor 4 , which may ultimately lead to inflammasome activation . In agreement with the data from animals, there is evidence from human studies that circulating fatty acids interact with fetuin-A to induce insulin resistance . Although fetuin-A levels were not measured in the study by Esser et al , lower fetuin-A levels have been reported in MHO individuals . Importantly, fetuin-A is a hepatokine that is predominantly released from inflamed fatty liver . In addition, a low liver fat content has been found to be an important determinant of metabolically healthy obesity . Thus, it is possible that not only fetuin-A levels but also liver fat content may have been lower in the MHO group in the study by Esser et al . As such, the lower circulating levels of fetuin-A might limit activation of the inflammasome in MHO individuals through reduced fatty acid-dependent activation of the Toll-like receptor 4. Finally, under certain conditions, increased liver fat content does not result in metabolic disturbances . One such condition is characterised by high levels of circulating lysophosphatidylcholines that are mainly derived from the liver , and this difference may be used to distinguish MUO from MHO people. Interestingly, lysophosphatidylcholines were recently found to enhance the suppressive function of human Tregs on macrophages . Consequently, the reduced VAT inflammation observed in MHO participants may also be related to beneficial signalling from the liver. Over recent years novel insights have been provided to better understand the mechanisms that are involved in the generation of low-grade inflammation and insulin resistance in animals and humans. Studying the crosstalk of different organs, both in animals and in humans, will help to better identify the major pro-inflammatory targets for the prevention and treatment of low-grade inflammation and insulin resistance. Increased inflammasome activity in adipose tissue, and in other metabolically active organs such as the liver, has taken centre stage as an essential mediator of obesity-induced inflammation and the development of insulin resistance (Fig. 1). Future research efforts should be focused on downstream targets processed by caspase-1-dependent proteolytic cleavage. In addition to IL-1β, which has been used as a marker of inflammasome-dependent caspase-1 activation by Esser et al , other caspase-1 substrates have been identified  that might also lead to metabolic disturbances. For example, caspase-1 activation in adipose tissue during obesity promotes cleavage and inactivation of sirtuin 1, an energy sensor that functions to protect against inflammation and obesity . To further understand the downstream effects of inflammasome activation, it would be worthwhile to study levels of various caspase-1 substrates in adipose tissue of MUO vs MHO individuals. Further upstream, identification of metabolic danger signals that lead to activation of the inflammasome in various organs may help to develop therapeutic strategies to limit its activation specifically in MUO people. Deciphering the triggers that determine differential activation of the inflammasome between MHO vs MUO individuals could prove to be an important step in our understanding of the pathophysiology of insulin resistance. Both authors were responsible for the design of the manuscript, drafting the article and have approved the version to be published.